The finest graded by both services! 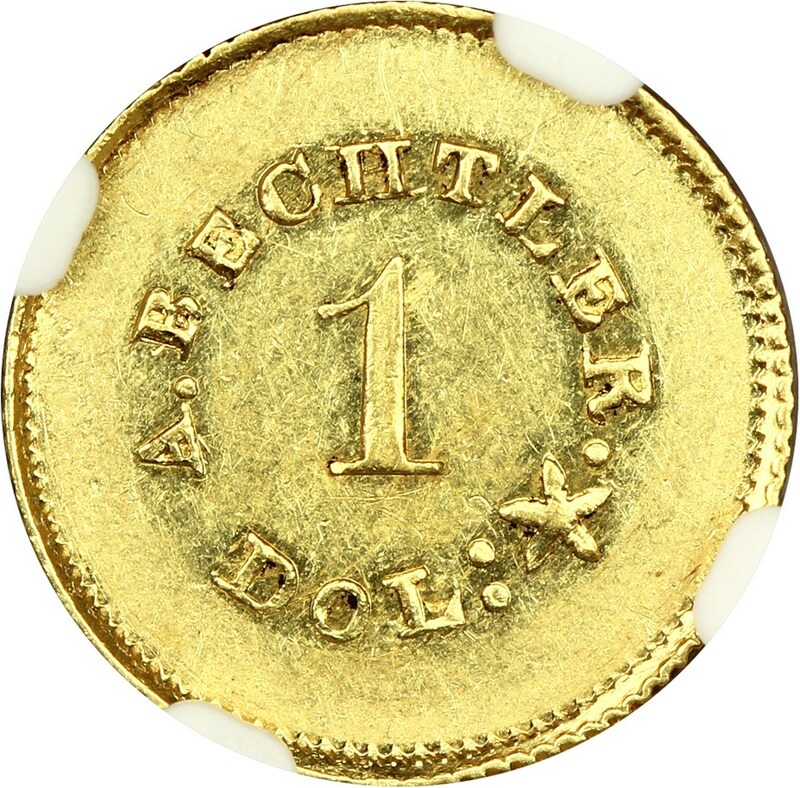 The first gold dollar struck in America, these were issued by C Bechtler in 1831 and A Bechtler in 1842. 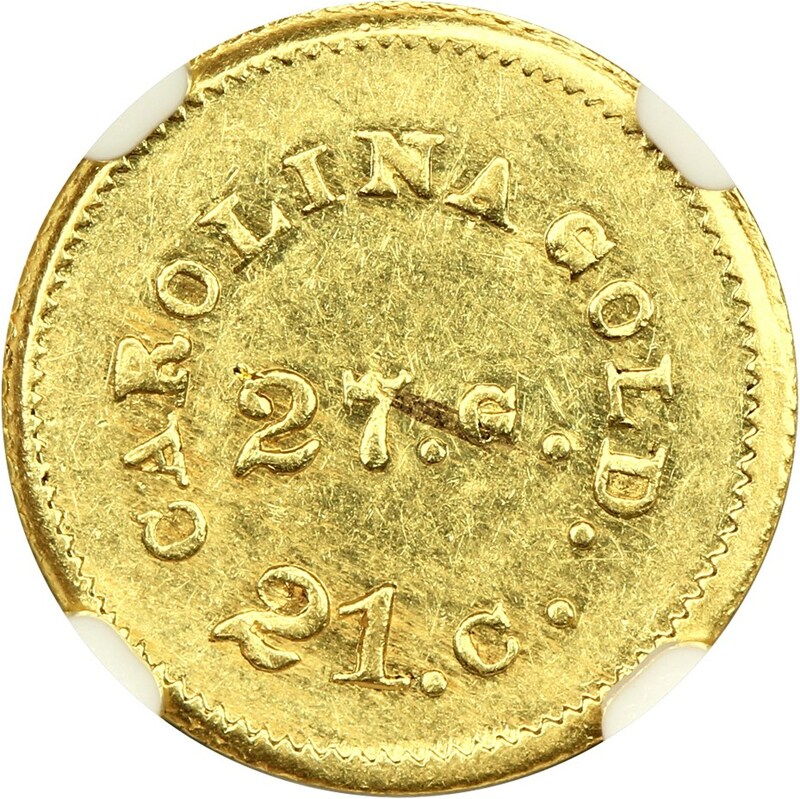 These first issues were sanctioned by the federal government and were our first gold dollars issued in America from gold discovered in North Carolina and Georgia. 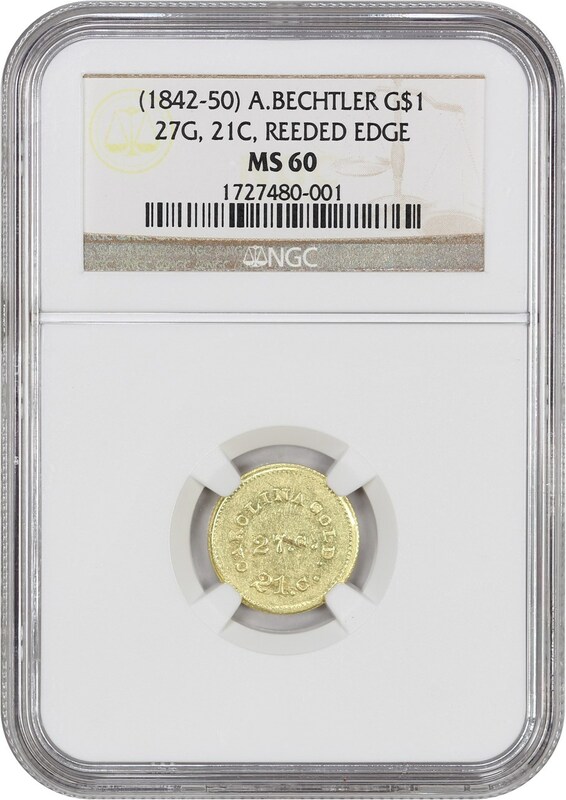 The Reeded Edge is particularly noteworthy due to its rarity and the first Reeded Edge dollar of A Bechtler. Originally deemed an R 8 by Kagin. 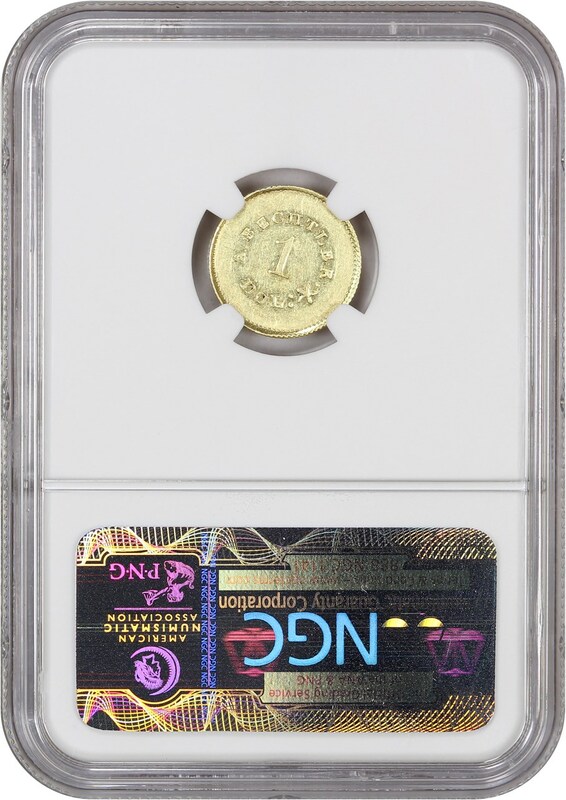 There are examples that were proven to be misattributed by both services and until disproven this is the sole survivor of a mint state example.